The Amiga x5000 hardware is the high-end and is on sale now. Unfortunately, it’s going to cost you a lot. Here in America, the board alone is about $1500USD and the full system about $2000. For those that want real PPC hardware, and can’t find a used system on Amibay, there is a board that has been mentioned here before called the Tabor (A1222), a collaboration between A-EON (makers of x1000 and x5000) and Acube (creators of the SAM 440/460 line). Here’s a screenshot of the point of install for OS4.1, so it proves that driver support is progressing and hopefully, this will results in general release of the board to the public. No word yet on final price but it is expected to be in the $400USD price range for the motherboard from the last rumors I saw. This would be in line with the Acube SAM boards (which are long out of production). 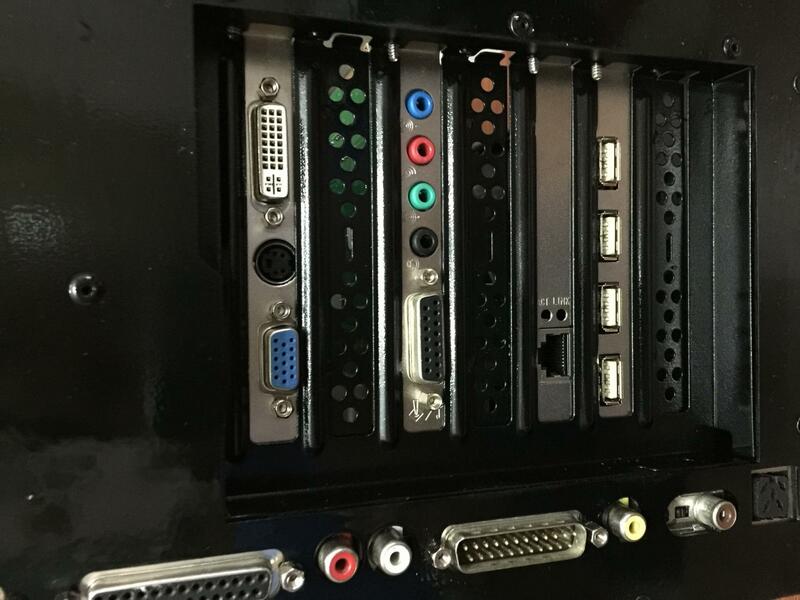 I’ve not posted in a while but I did see this interesting project that combined the hardware for a MorphOS machine (I have the feeling it is one of the bPlan Efika boards, but it may be an apple product, combined with a minimig. The builder has worked some software and hardware switching to cause a game floppy icon clicked to open on the minimig and switch the video over. The controller signalling is shared somehow as well. Very interesting project. I hope he explains more soon. Happy New Year Amiga users! I hope all of you Amiga users have a great New Year! I just noticed that someone is spreading a partial archive of the old OS 3.1 source code around but that its also the same one that was around over 15 years ago. I guess torrents make it easier to spread these days. Will something come of it? Probably not. Olaf Barthel talked about the years of work it took him to get a full archive (which isn’t even part of the leak) to build under common tools, as the old archives required many different compilers and assemblers to build. Also, how much is in assembly? Hyperion has been working for years to convert the old code to portable C. Anyway, it was interesting to hear about. I’ve revived my interest in Amithlon, in my opinion, the only way to run Classic Amiga if you don’t have real Amiga hardware. I’ve built a few machines this year, with various hardware, and varying results. I hope to one day build the ultimate Amithlon machine with a wicked-fast processor speeds and start porting code to it to take advantage of the x86 raw power. Maybe in 2016? Anyway, I’ve seen several cool thing both in software and hardware that I have backlogged to post about, so hopefully, I’ll get to them soon too. 2015 was awesome, 2016 should be more so! The ingenuity of the Amiga userbase is amazing! Here are a few new hardware projects I’ve spotted online recently. I’ve mentioned them before, but here’s a link to someone building and selling plipbox’s in the USA. A plipbox is a parallel port -> ethernet adapter. With the latest softawre from the original creator’s website(–> here <–), burst mode can achieve good download speeds. It will initially be like a 68020 upgrade until the apollo phoenix core is ported to it, then it will be faster than a 68060. Speaking of the Vampire board, Kipper2k was helping construct version 1 of the board before and his website has other custom projects, including RAM and CF card adapters for the 500 and 2000, an HDMI adapter for the AGA Indivision card and also other great projects. It seems like there is no end to Amiga creativity! Okay, so the early numbers showed that a new SAM460cr (not sure of the speed at the time) was being listed at 620 Euros (nearly $800USD). A 1Ghz 460cr board is 469 Euros ($600USD), and the 1.1Ghz board is 539 Euros ($689 USD). If you read my post on the x5000 the other day, you’ll see that the SAM boards are low on the CPU performance so I’d recommend spending the extra if you can afford it. 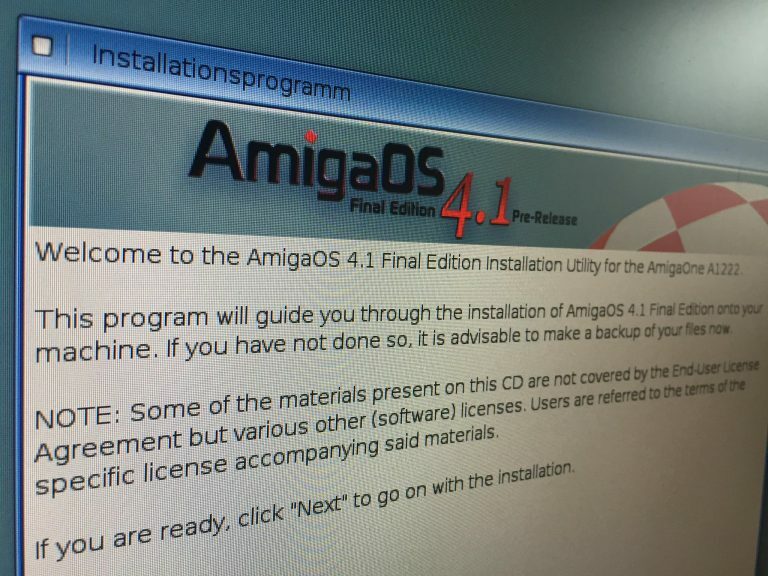 So, again, it’s getting (slightly) less expensive to enter the world of Amiga OS4.x. It’s about time! The only problem right now is that it is listed as Out Of Stock. I’m not sure if this is because they haven’t produced them yet or, more likely, the few they have received were probably sent out to cover back orders and system builds – like Relec and their Big Red One. This post is just a collection of various thoughts I’ve been having about classic Amigas. Instead of making several tiny posts, I thought I’d put them all into one. The Amiga Prisma soundcard for both Zorro slot and clockport enabled Amigas. This is a very nice soundcard that can be used in large zorro slot amigas as well as an Amiga 1200 (or other models that have expansions that include a clockport connector). Then there is a plug-in MP3 player so that your CPU doesn’t have to do all the work, it has its own player software and is cheap, and works on nearly all Amigas. 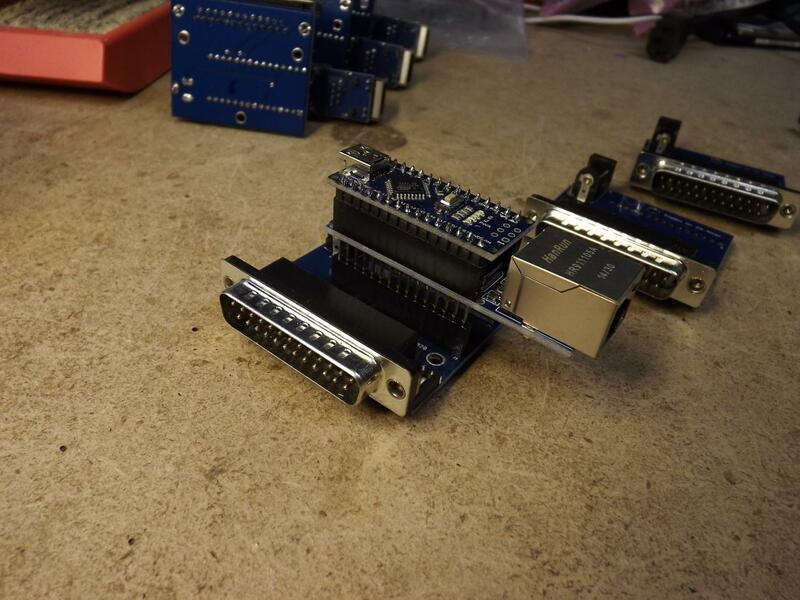 A long-time Amiga hardware developer, Elbox, recently expanded their product line again, this time to add PCI adapter boards for the Amiga 3000’s. 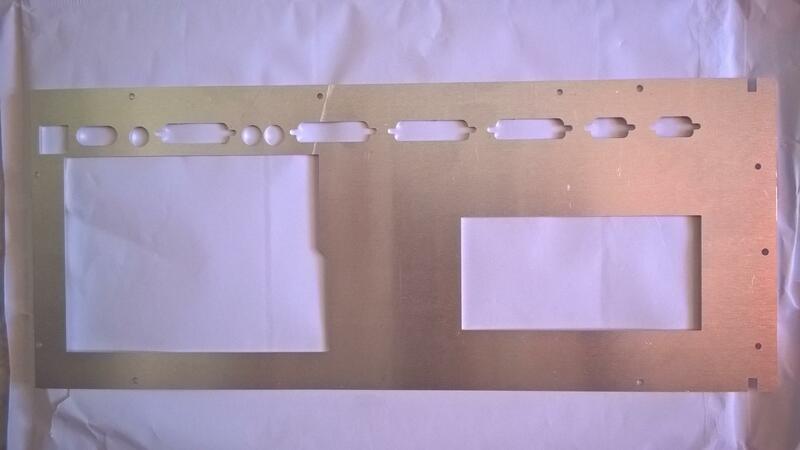 These, plus their other PCI Mediator boards, allow the use of cheap PCI expansions. There is a new, zorro slot, mini USB controller board that is fairly inexpensive for big box amigas called the MiniThylacine board. It’s ordered on a piece-by-piece basis and the assembler takes orders constantly. And then there’s a company called Individual Computers that makes a whole line of products for Amigas. From accelerators to flickerfixers, they continually prove their willingness to support the Amiga. Their most recent part, the ACA500, allows the use of Amiga 1200 accelerators in an Amiga 500. Someone even got Amiga OS4.0 running on the BlizzardPPC board on the ACA500. Wow, it’s amazing the dedication there is in the Amiga community. Okay, when do you a search on Google for “best laptop for Amithlon”, it’s really hard to find anything concrete. 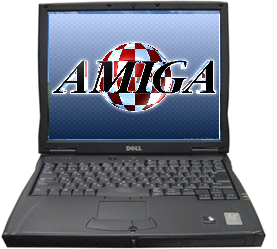 Many people, if they wanted a laptop with an Amiga-OS on it, would probably just put some version of Windows on it, and then load up WinUAE. While that would work and would provide drivers for the underlying hardware, it’s just hard to feel like an Amiga, even if you do hide the telltale signs of Windows loading up and running. Amithlon is a great choice as it just feels like real, classic (but fast) hardware. It boots up super fast as well. Amithlon is an amazing bit of software, written in the early 2000’s that was an attempt to push AmigaOS more towards an x86 solution, long before AROS was in the working state it is today. A really smart and talented guy by the name of Bernie (who is responsible for the JIT- Just in Time compiler for WinUAE), decided to make this software. His thinking was that if he just took the absolute, minimal Linux 2.4 Kernel, and put in a JIT 68k CPU emulator, plus some amiga-side interfaces to x86 drivers, he could do it. He did not build in full custom chipset emulation, as his logic said that it would mostly be game players that wanted that, and those game players probably had real Amiga hardware. This freed him up quite a bit to focus on OS compatibility. Unfortunately, he made a deal with H&P to publish this along with their QNX+UAE emulator, right before a major legal battle ensued, causing him to drop the project and leave the Amiga community altogether. However, he left behind enough so that others took up maintenance, with the most recent update to version 4 coming in 2010. 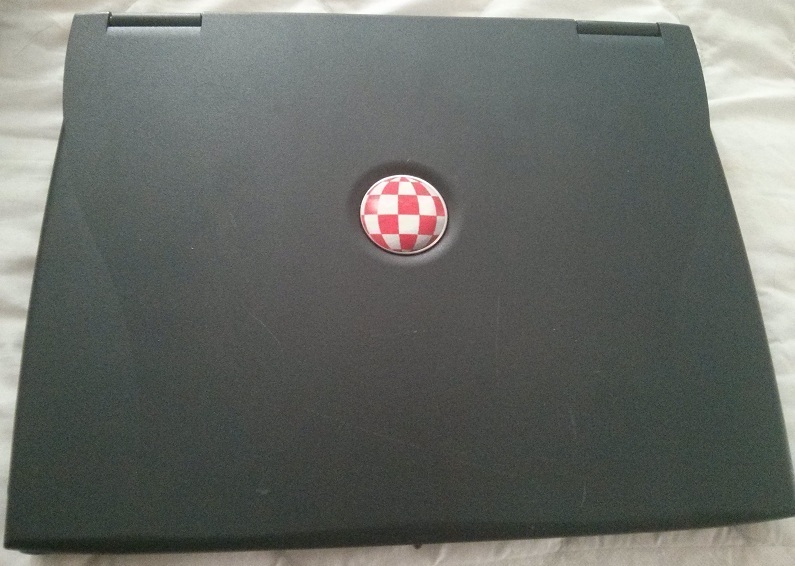 So, how do we use this to make a great Amiga/Amithlon laptop? Well, I spotted a few videos on youtube of someone who had taken a Dell C610 laptop and turned it into a great Amithlon laptop. It turns out that the video, audio, IDE, USB and ethernet hardware is fully supported in newer versions of Amithlon software. You can routinely find these machines on Ebay for under $100USD. There are two main configurations, go for the better one: 14″ monitor and 1.2Ghz PIII CPU. Don’t go over 1GB of RAM, as Amithlon has a problem with that. The one I have is at 768MB of RAM to be safe. Don’t worry, for OS 3.9 (built into Amithlon), this is plenty! So, get your Amithlon CD (they haven’t been sold in years, so don’t ask me how to get it), and then go to this thread to see the setup guide: http://eab.abime.net/showthread.php?t=31613 It’s a long thread but VERY helpful. You can see the evolution this guide went through over the years. I ended up not needing the latest version 4 of Amithlon kernel and drivers by Milanca. I found that version 3.10 by Gary Colville was just perfect! My configuration ended up having 3 partitions: 1) 5GB for WindowsXP (needed for wireless setup, as well as other utilities barely needed anymore, and the Grub launcher, 2) a small Linux parition ( less than 500MB ) where the Amithlon basic kernel files are located (grub launches thes), 3) and the Amiga parition. 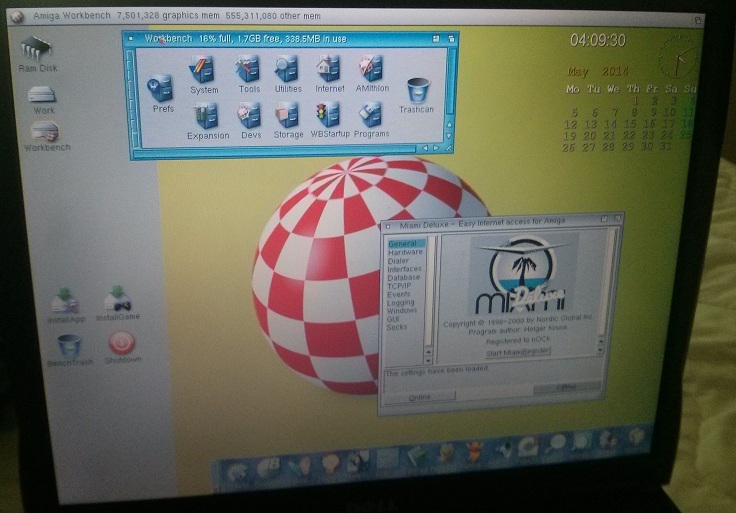 On the WindowsXP partition, beside the GRUB launcher, I have a utility (either Norton or Acronis) that allowed me to set the Amiga partition to type 0x76. 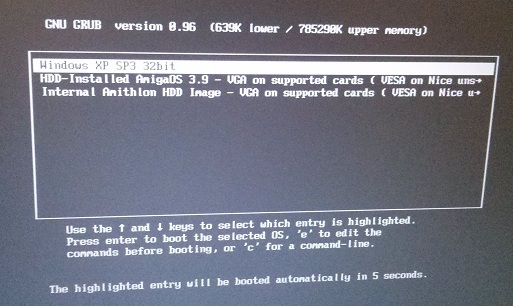 I then used WinUAE to format that parition so that the Amithlon boot parition could see it. I then followed the Amithlon setup guide to get everyone installed and set up right. 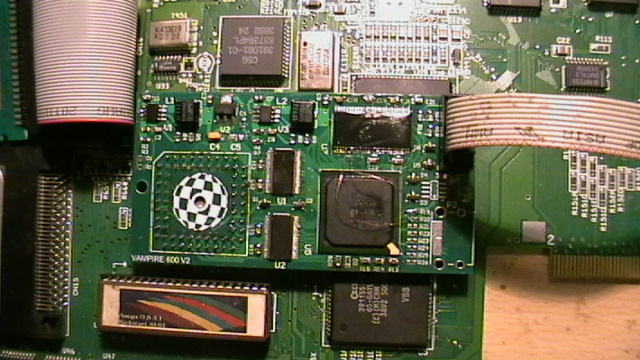 Then, to get wireless working on the laptop, see my previous post about the Vonets cheap wirless bridge. I’ve installed the free version of Miami for TCP access, although the one that comes with AmigaOS3.9 should be adequate too. If I ever take the laptop somewhere to a different wifi network, I can reboot into WinXP, run the Vonets configuration utility, then reboot back into AmigaOS. Hope you have as much fun making a powerful, portable and inexpensive Amithlon laptop!